My favorite quick and easy paleo, vegan, keto and low carb mushroom zoodles with pesto. Perfect pasta alternative & weeknight comfort dinner. There’s something strange about me. I love Italian food but you can’t find pasta in my kitchen. So, probably every Italian would say that it’s impossible to make pasta without pasta. I can’t argue with that. You really can’t make real pasta without “real” flour. So, don’t expect it to taste like “real” pasta. I find that the best part of “real” pasta is always the sauce. The other part there is just to give some volume and I honestly don’t care about that part. All I need is a good sauce made out of healthy fats. In this recipe, it’s extra virgin olive oil and cashews (you can read my post about healthy fats here). The problem with “real” pasta for me is that I usually get a belly ache. So, I rather avoid the “real” pasta and enjoy some healthy fats with zucchini noodles (zoodles). 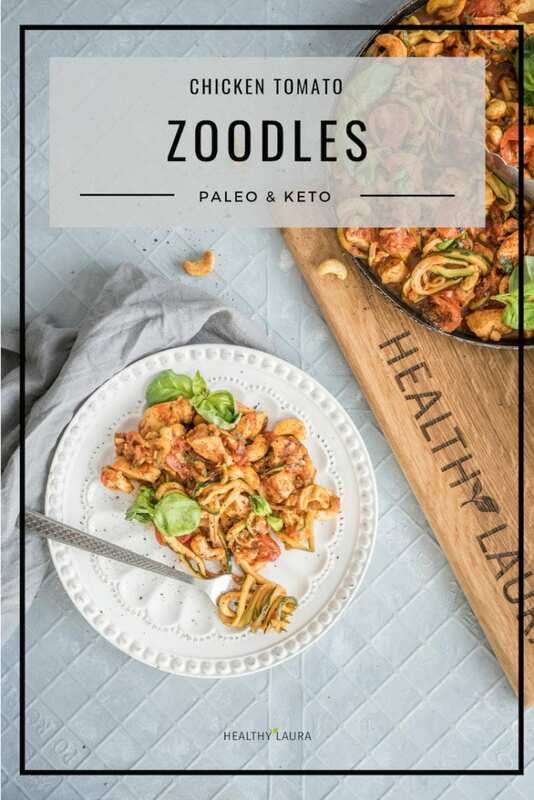 Mushroom Zoodles vs Paleo Chicken Option? This recipe here is my other favorite zoodles recipe that I usually make for dinner (tomato zoodles recipe here). 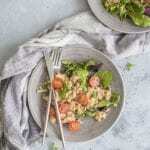 It’s a quick and easy paleo, vegan, keto and low carb dish that satisfies all my cravings for comfort food. The best part is that you don’t have to follow the recipe like crazy. You just have to trust yourself and follow your intuition. I’m sure that you can do that. If you don’t have a vegetable spiralizer, then you can always use your usual vegetable peeler and make zucchini tagliatelle. However, if you like healthy cooking, then I really recommend you to buy one. It actually doesn’t matter what kind of spiralizer you buy as long as it works. I have tried different ones and I think that they are all quite similar. Just different prices but the zoodles will always look the same. Firstly, make the pesto. Place all the pesto ingredients into the food processor and blend on high until it will turn into a paste. Add some extra olive oil when it’s too thick. Make your zoodles. While the pesto is blending, spiralize the zucchini. If you don’t have special spiralizer, then just use your vegetable peeler and make zucchini tagliatelle (I have made butternut pumpkin tagliatelle in this recipe). Heat a large pan over medium/high heat. Add coconut butter and garlic. Cook for 15 seconds. Be careful not to burn the garlic. Add sliced mushrooms. Season with salt and pepper. When the mushrooms are almost golden lower the temperature. Add zoodles with coconut milk and let it simmer for 3-5 minutes (you might need to cut the zoodles shorter when they are too long). Season with salt (not too much, pesto will have enough salt already). When the zoodles are tender, then add your pesto to zoodles. Mix well. Serve right away with fresh basil. Enjoy! 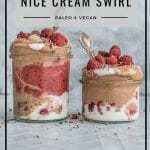 I’m interested in making your pesto zoodle recipe.